“What the….? Another new plan to solve Tauranga’s transport problems?” asks progressive transport group Greater Tauranga in their article. It’s interesting reading for several reasons, mostly to do with how the local authorities vs government vs communities approach transport investment and the future of the area. 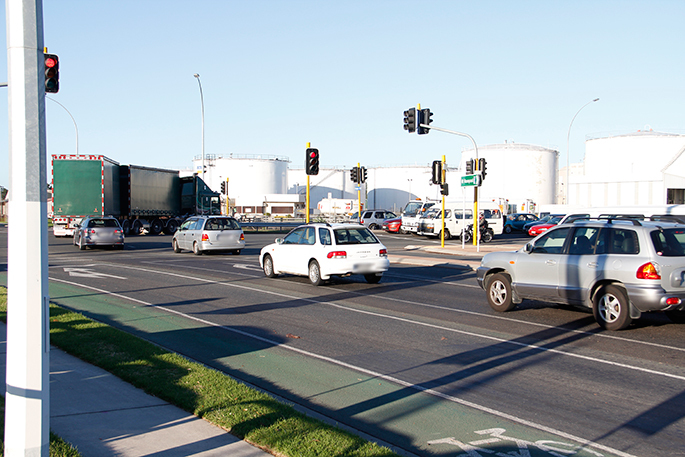 Tauranga has long been encouraged – even required – to create lots of motorway-grade roads through the city to get freight into and out of the Port of Tauranga and into the state highway network. Being pretty close to Auckland, it’s also a fast-growing satellite city with lots of demand for places to live. The upshot of this has been an approach to transport that’s overwhelmingly dominated by private car travel (when you have motorways to get everywhere, why wouldn’t you drive?!). It’s grown a car culture to the point where a friend who lives a flat 25-minute walk or 15 minute bike ride from her work regularly has people pulling over next to her to ask if she’s OK when she’s walking. Three days a week she cycles slowly on the footpath with her little boy on board, to drop him at kindy – and every couple of weeks someone will abuse her for not cycling on the (70km speed limit) road. The city’s great culture-change work, school programmes (which got them most of the TRAFINZ awards this year) and its pretty off-road shared paths are but glimmers of light in what feels like an overwhelmingly car-focussed city – indeed, Greater Tauranga’s article says that Tauranga residents are most car-dependent people in Australasia. the main route for people (yes, on foot and on bikes) to get between Tauranga city and Mount Maunganui. Yes, that’s a red light. And that’s been OK according to the government – national funding has poured into Tauranga to build more roads and expand existing ones, citing freight movement and urban growth, and tourism. This despite the fact that because of induced demand, population growth and underinvestment in any other way to get around, the benefits from these bigger roads vanish scarily fast. Have a read – it’s an interesting snapshot of our times! Wellington too is grappling with similar issues – port and highway traffic vs urban centre “place” and destination experience, how to grow and where, and how much we invest in different ways for people to get around. Will we, too, see light thrown on dodgy process, ill-founded assumptions and so on? What lessons do you think we should take for Wellington towns and cities?